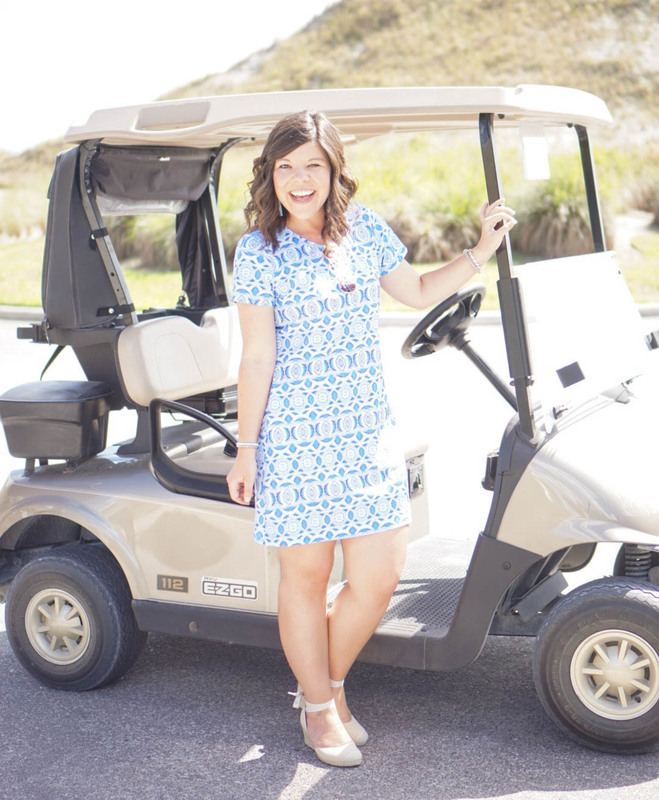 Bring on the sunshine in this adorable Cabana Life tee shirt dress- the easiest way to be styling this summer! As y’all know, a few weeks ago I spent the weekend at Streamsong Resort (full post later this week) and today you’re getting to see a glimpse of the gorgeous property & grounds. 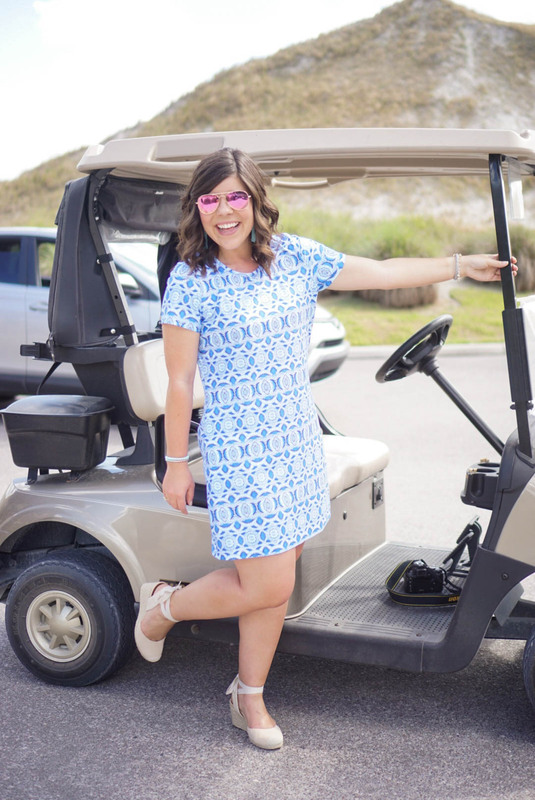 Florida has been having the most fickle weather and this particular weekend was H-O-T… so I needed this tee shirt dress to keep me as cool as possible! One of the things that I love the most about this brand is that each piece has SPF50 built in- so on those hot days you can feel confident that you are protecting your skin from those harsh rays of the sun. As I was unpacking this morning & organizing some new purchases I realized that blue and white are basically my color pallet for Spring – and I don’t hate it! I love how crisp and bright it is and that after the dark colors of winter it feels light and happy. Throw in some shades of pink and you know what I will be living in ALL season long! Previous Post #ThisIs30 – Birthday Celebrations & 30 Things About Me! this is so cute & so you! Happy Birthday again! I love when clothing has SPF in it! 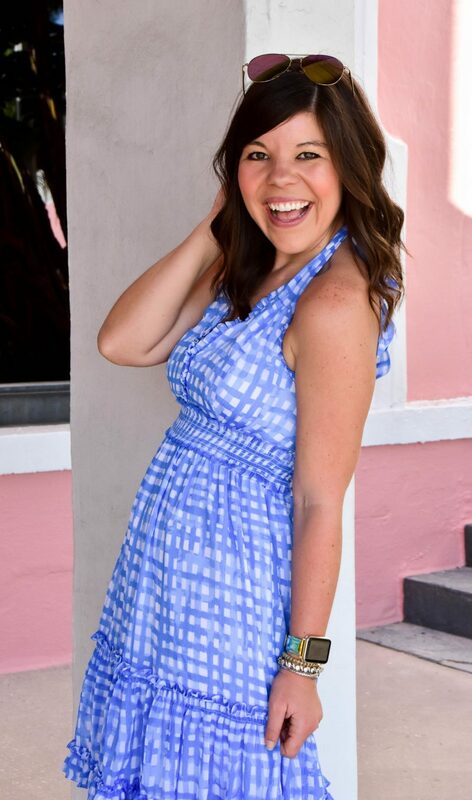 This dress is adorable and perfect for Florida! Glad you are back to normal and can’t wait to hear all about your adventures! It makes it so nice for summer! happy bday! i can’t believe those wedges are vionic, i definitely want to try a shoe by them. So comfortable! It’s my first pair but won’t be my last! I Loe this color palette! You look like a vision of Spring!! 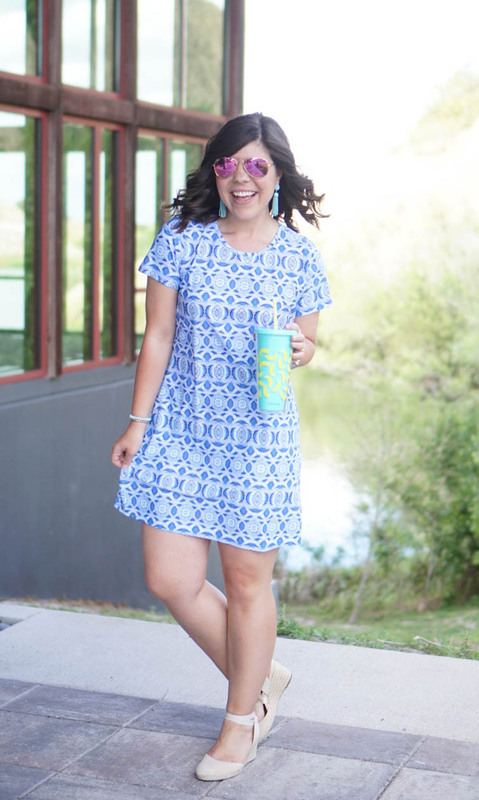 This dress is absolutely adorable, Gentry! I was watching all your Instagram stories and looking for your posts all weekend – it looked like you had an absolute blast! Hope 30 treats you well!! Felicity you are such a doll! Thank you so much and I can’t wait to share more details! 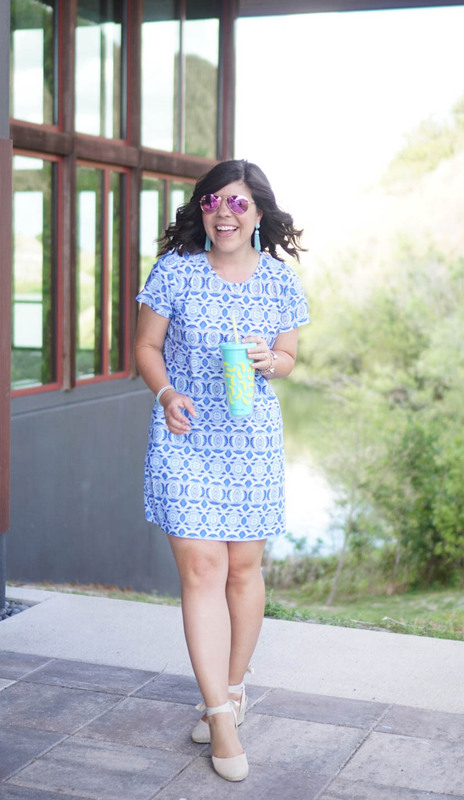 I love this t-shirt dress – it’s precious! And I bet it is perfect for the really warm summer days that are creeping up on us. That dress is really cute on you dear. Such a cool color, and pretty nice pattern too. 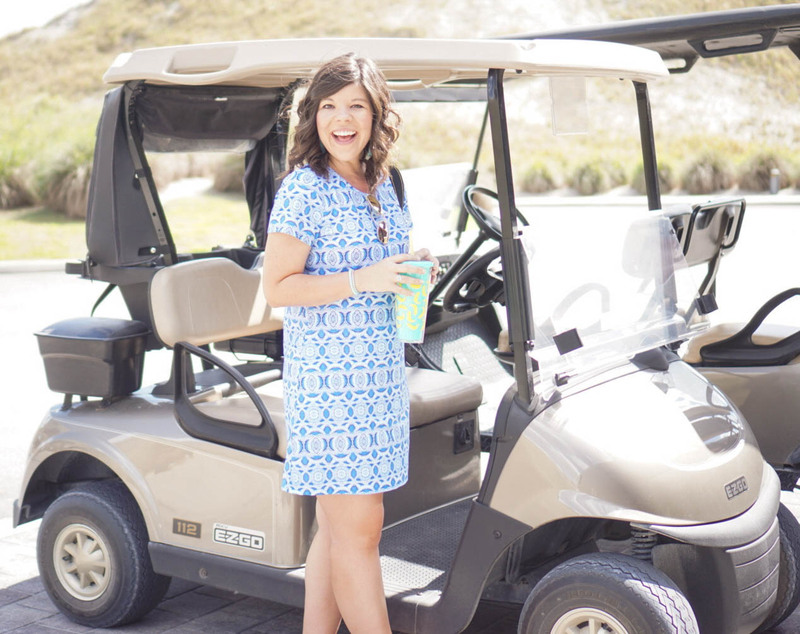 Your trip to Charleston looked like so much fun! 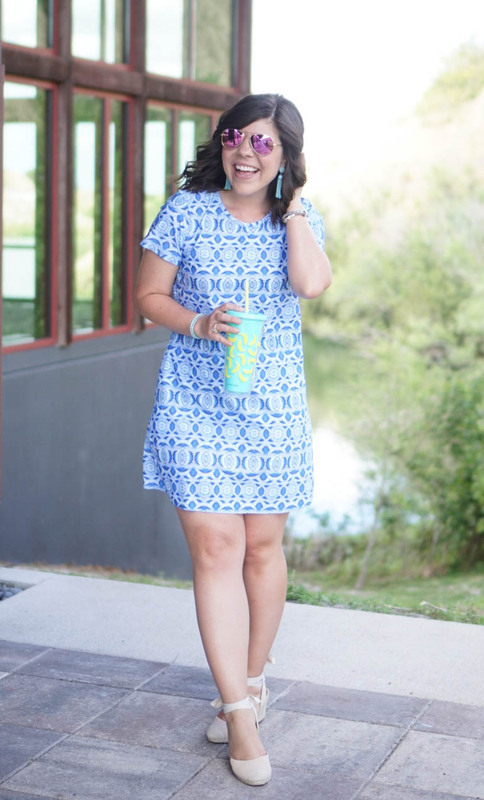 This dress is super cute, and I *love* those shoes!